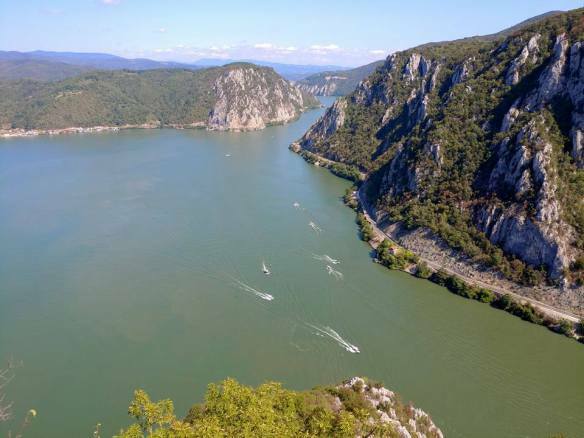 The 134 km long Danube Gorges - also known as „the Iron Gates” (Romanian: „Porțile de Fier”) - continuously attract walkers, hikers, cavers and - above all - cruisers. 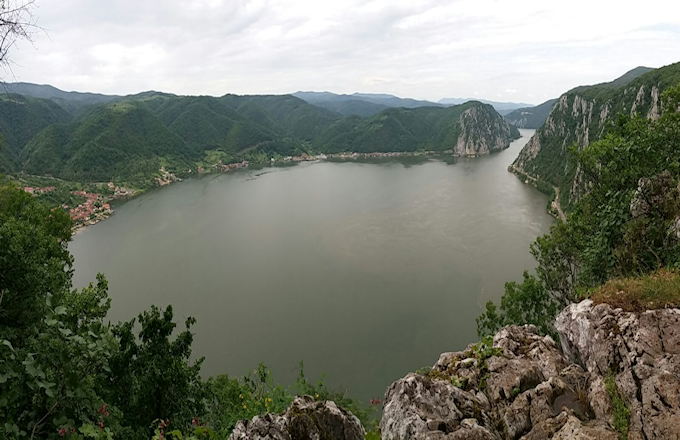 We will leave Băile Herculane going towards Orșova, a two-millennia-old city, to visit the most scenic sector of the gorges, upstream it. 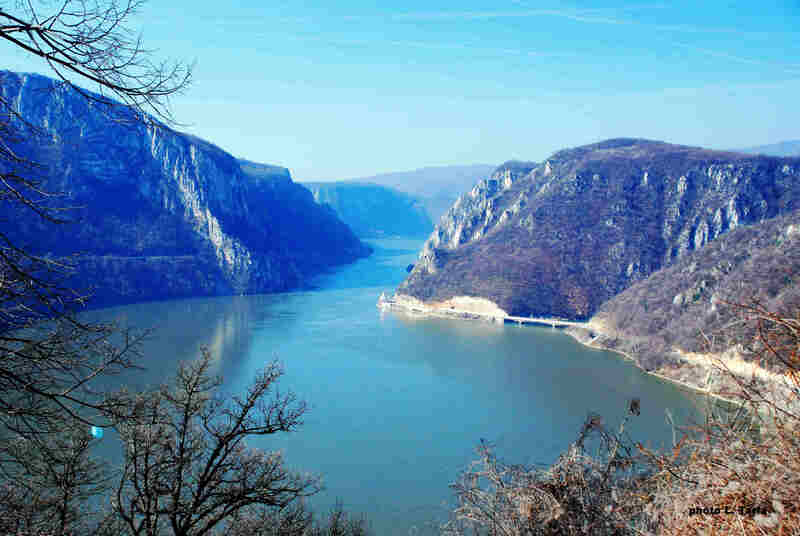 After the Roman conquest of Dacia by the legions of the Emperor Trajan, at the confluence of the rivers Danube and Cerna, the Dierna harbor, the present-day Orșova, was founded. 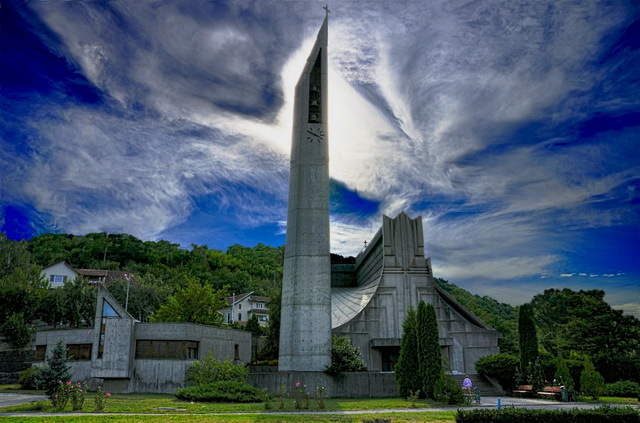 We will pass along the Catholic Church (Photo 1), built in a modern style, after the city relocation. 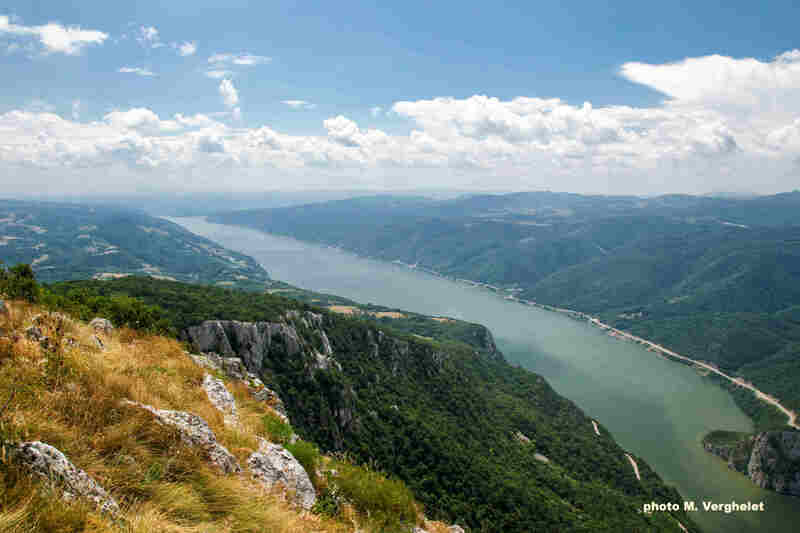 We will climb up the Alion Hill, to descend towards the Eșelnița village, which was also relocated. 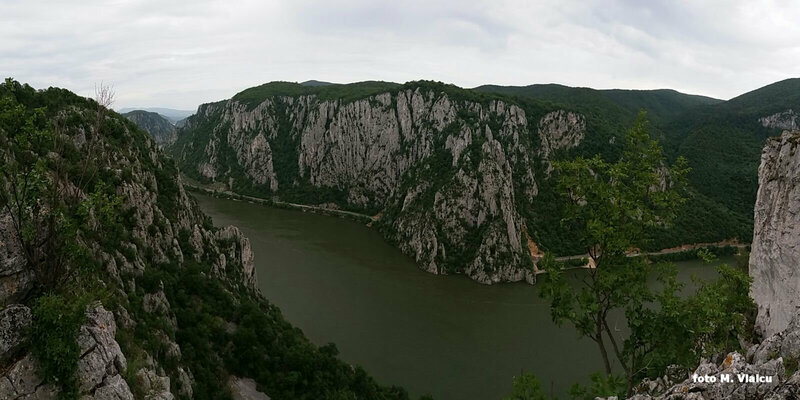 From Eșelnița, we will follow the Danube riverbank until we will enter the Cazanele Mici Gorges ("cazan" means "cauldron"). 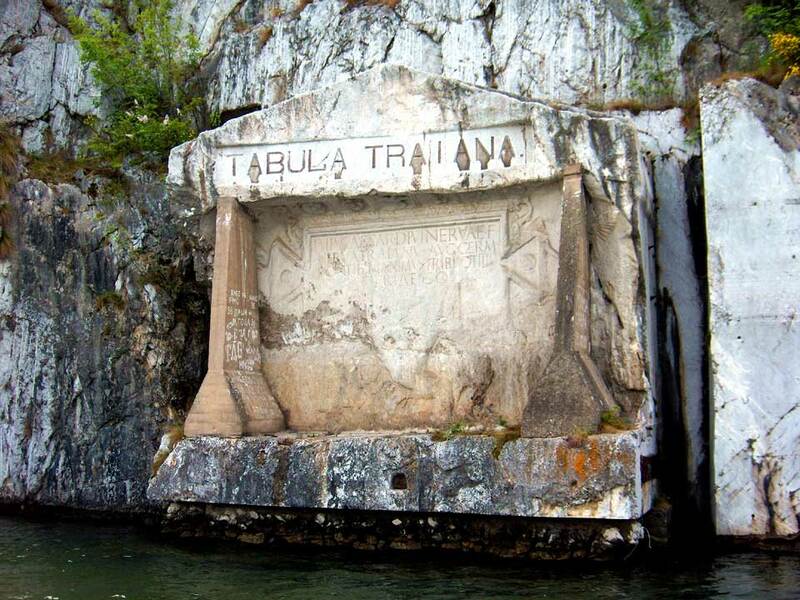 Before we will visit this sector, we will notice, on the Serbian riverbank, Tabula Traiana (4 x 1.75 m), carved in stone to present the emperor’s victories after entering Dacia (Photo 2). 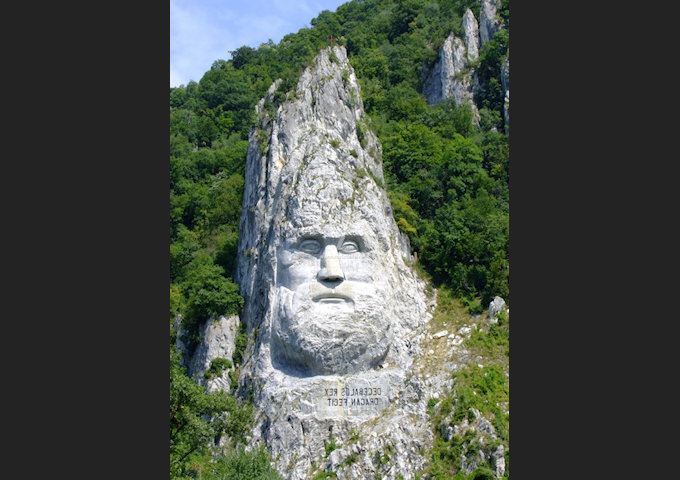 At the confluence of the river with Mraconia, the head of the Dacian King Decebal (Decebalus Rex), carved in limestone, can be admired (Photo 3). The statue is 55 m high and 25 m wide, dimensions which place it among other large monuments from around the world, such as the Statue of Liberty, in New York, U.S.A., and the Christ the Redeemer statue in Rio de Janeiro, Brazil. 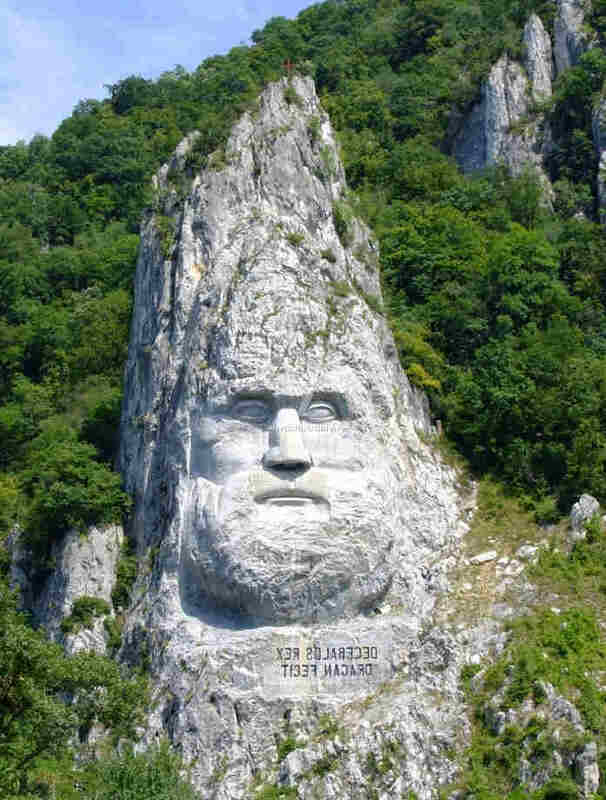 Twelve sculptors worked to carve this monument, during 6 years (between 1994 and 2000). After we will leave the Cazanele Mici Gorges, the road following the Danube riverbank leads us towards the Dubova Gulf (Photo 4). 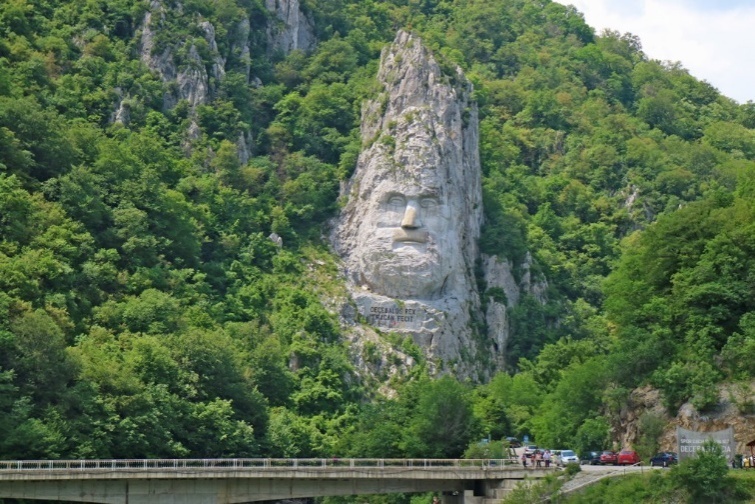 The road surrounds the Dubova Gulf, to climb in wide curves towards the Dubova village, located in the southern part of the Almăj Mountains. 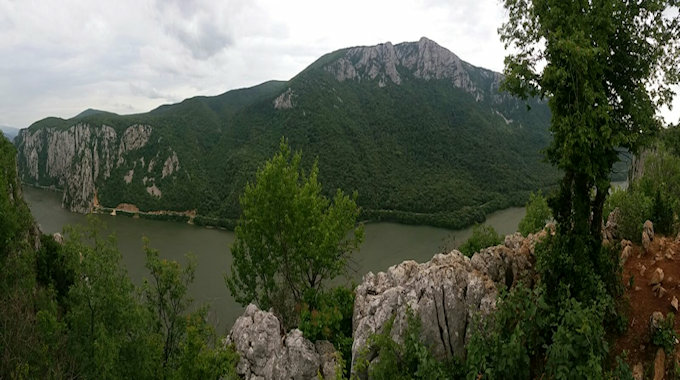 From Dubova, a steep path leads us on the Ciucaru Mare karst plateau, marked by sinkholes and uvalas, as well as by two potholes, 10-15 m deep (Photo 5). Along the way, we will see lizards and snakes. Beware of Vipera ammodytes, a venomous snake! Your slight hiking effort (one hour to ascend and 40 min. 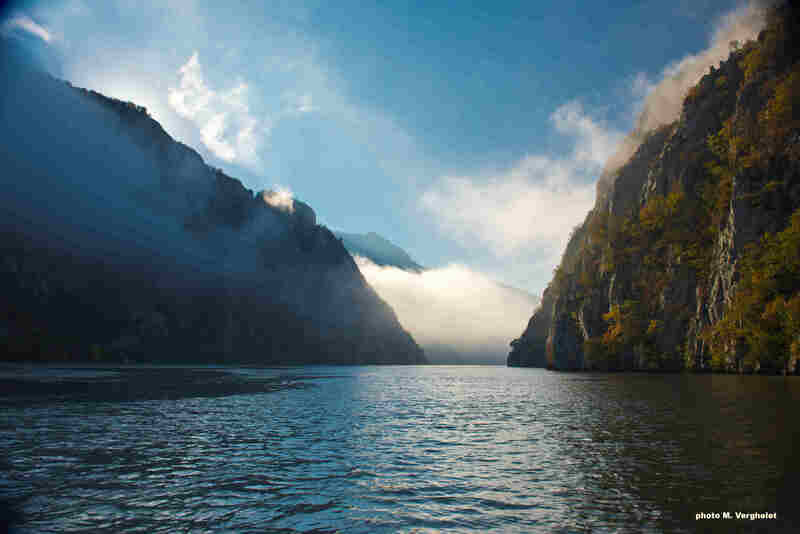 to descend) will be rewarded with beautiful panorama views. 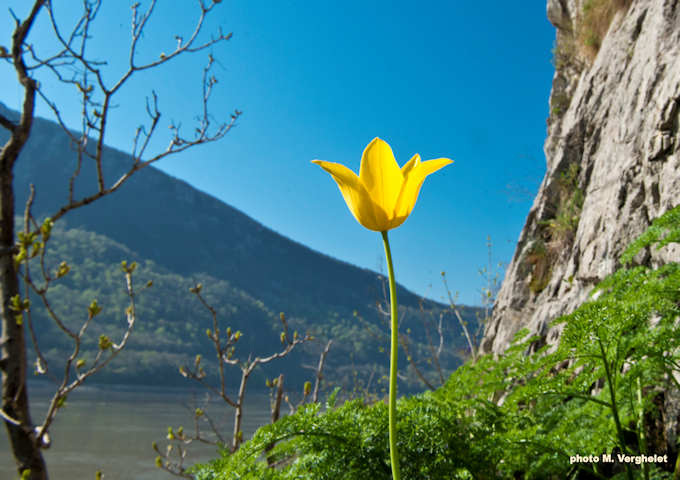 On the plateau we will have a general sight over the Dubova Gulf, the Serbian riverbank and the Danube, which flows more than 200 m below it. 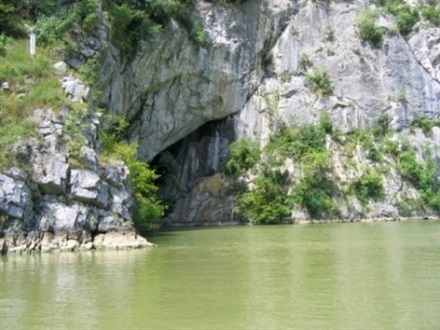 By boat, one can get from Orșova to Plavișevița and back in about 3 hours. It is possible to visit both the Cazanele Mici Gorges and the Cazanele Mari Gorges (the most famous sector of the gorges, as it narrows to 150 m and reaches a depth of up to 53 m), and the Veterani Cave (named after the Austrian general Friedrich von Veterani, who fortified it in 1691), passing along the entrance of the Ponicova Cave (Photo 6), the largest cave of the Danube Gorges (1 666 m). The photo gallery shows pictures taken in the area we will visit.